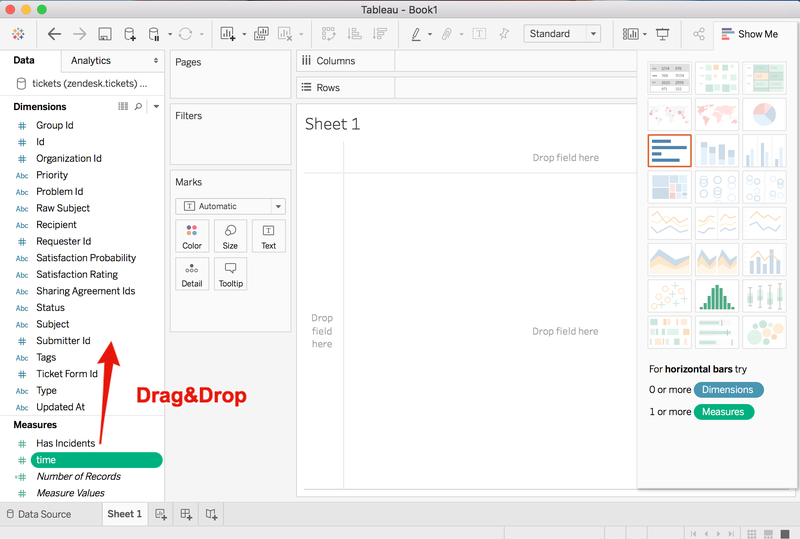 Using Tableau Desktop on Mac with Arm Treasure Data allows users to interactively explore data using Presto. Start Tableau. Click Connect > Presto. For a complete list of data connections, click To a Server > More. 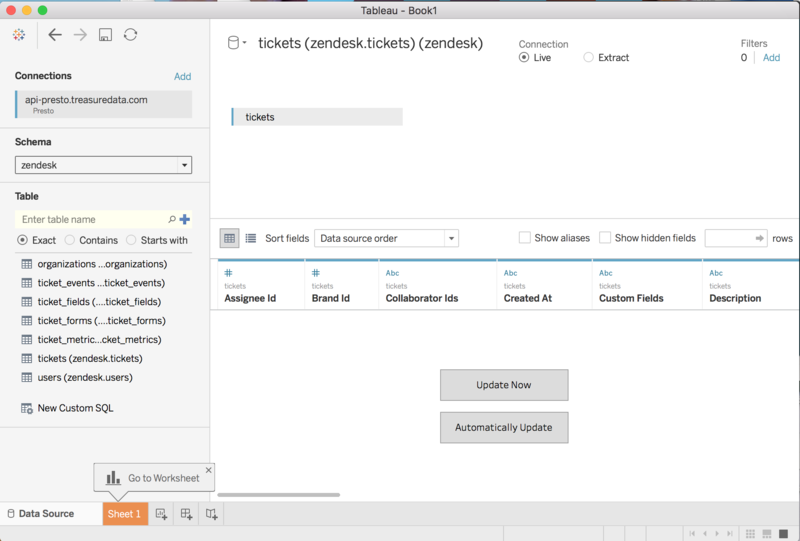 If Tableau cannot complete the connection, verify that your credentials are correct. 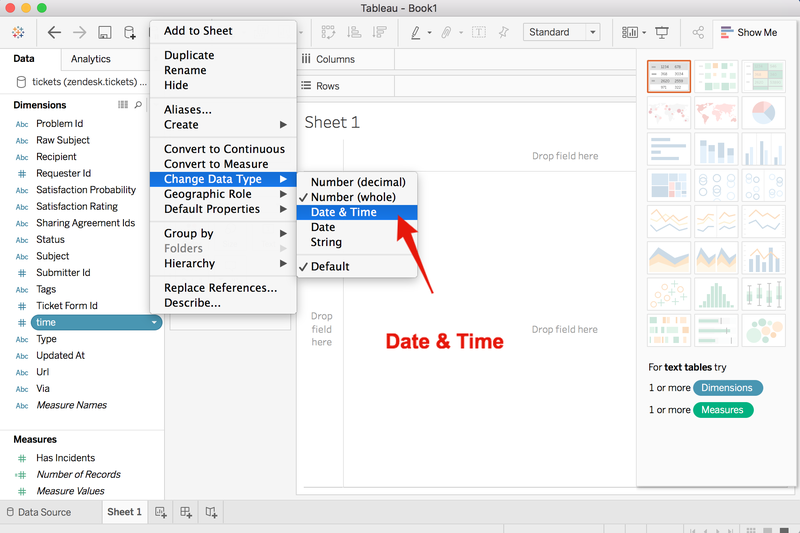 Select the default data source name at the top of the page, and then enter a unique data source name for use in Tableau. 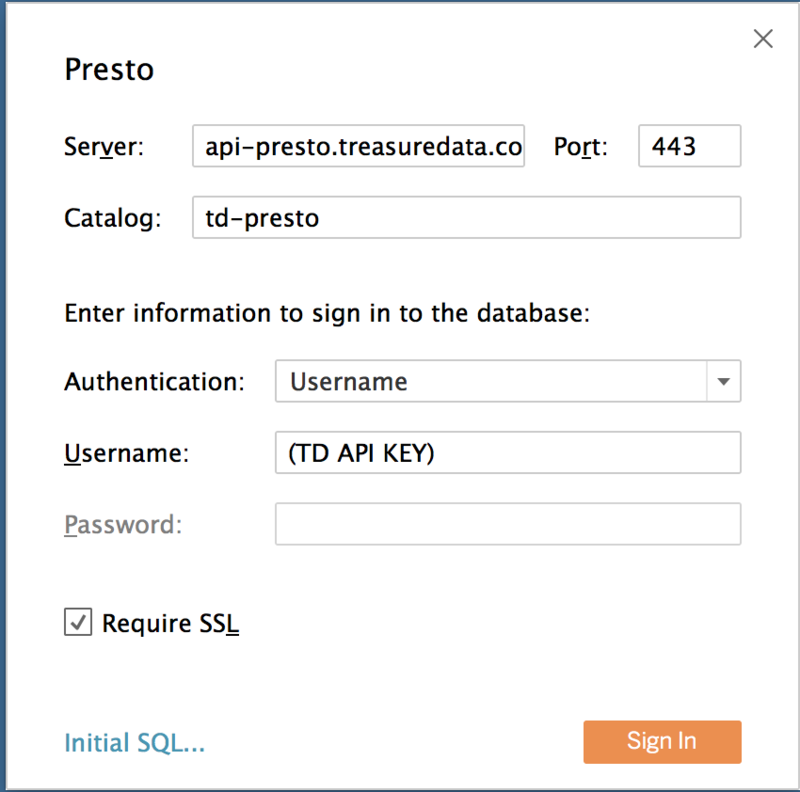 Compatibility between the Presto and Tableau ODBC package isn’t guaranteed when Treasure Data Presto is upgraded. 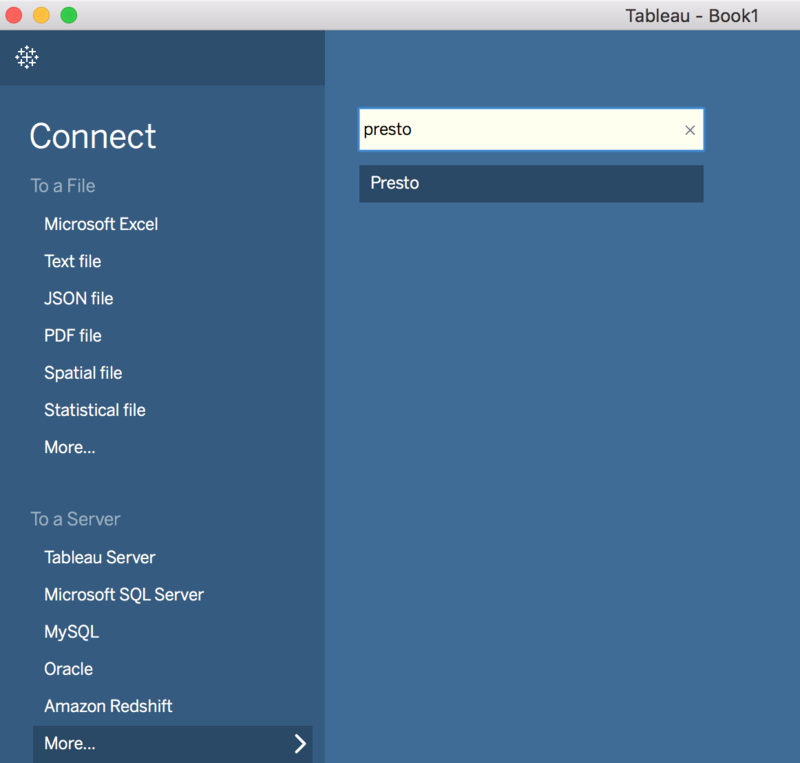 We recommend that you use Result output to Tableau for production systems because the connector requires regular update of data sources.